The Dixie Chicks are an American country music band which has also crossed over into other genres, including pop and alternative country. 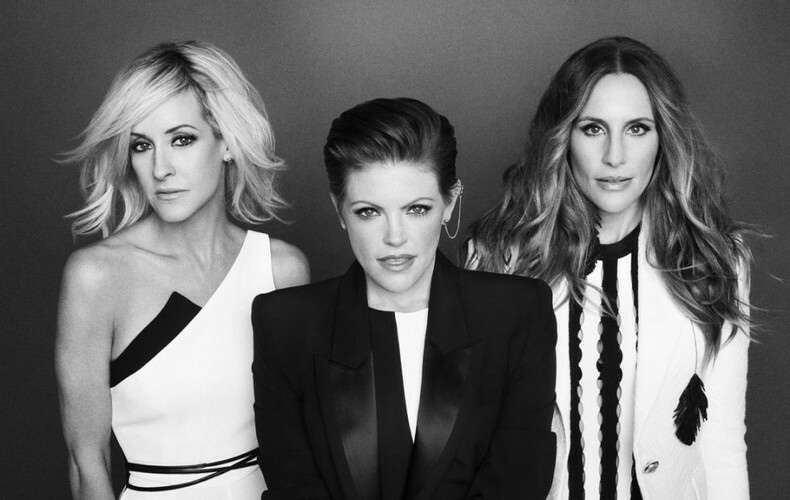 The band is composed of founding members (and sisters) Martie Erwin Maguire and Emily Erwin Robison, and lead singer Natalie Maines. The band formed in 1989 in Dallas, Texas, and was originally composed of four women performing bluegrass and country music, busking and touring the bluegrass festival circuits and small venues for six years without attracting a major label. After the departure of one bandmate, the replacement of their lead singer, and a slight change in their repertoire, Dixie Chicks soon achieved commercial success, beginning in 1998 with hit songs "There's Your Trouble" and "Wide Open Spaces". On March 10, 2003, during a London concert, nine days before the March 19, 2003 invasion of Iraq, lead vocalist Maines told the audience: "We don't want this war, this violence, and we're ashamed that the President of the United States (George W. Bush) is from Texas". The positive reaction to this statement from the British audience contrasted with the negative reaction including boycotts that ensued in the United States, where the band was denounced by talk-show conservatives and their albums were discarded in public protest.